"A battle is won in the mind first, and then on the battlefield." 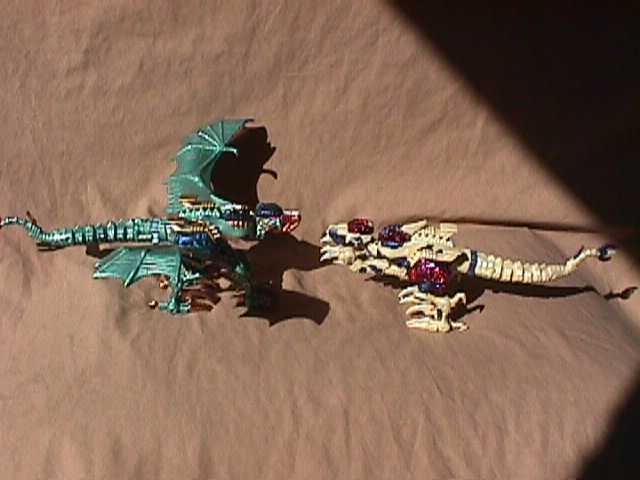 There are few Maximals that the Predacons fear, as much as they fear Draconis. More than once they have seemed on the verge of victory over a party of Maximals, when he comes screaming out of the clouds bellowing fire at them. His battle prowess and tenacity have a near legendary status to them. The truth however is that he is simply very good at a job he finds distasteful to say the least. Draconis is an musician at heart, he enjoys constructing virtual symphonies in the Maximal's simulation chamber. 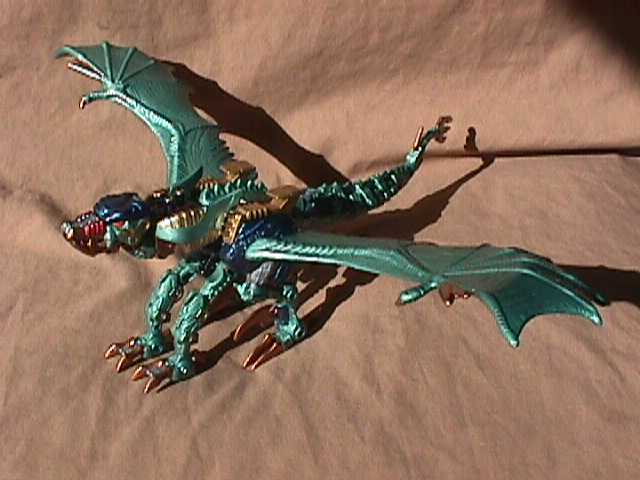 His dragon mode has a strong but deceptively thin layer of armor that is resistant to most beam weapons and his talons can slice through most Predacons in seconds. He is highly maneuverable while in flight, and a nozzle inside his mouth can produce a jet of flame. this flame can either be concentrated to hit a single target with a high intensity flame, or spread out to hit a group with a slightly diminished blast. 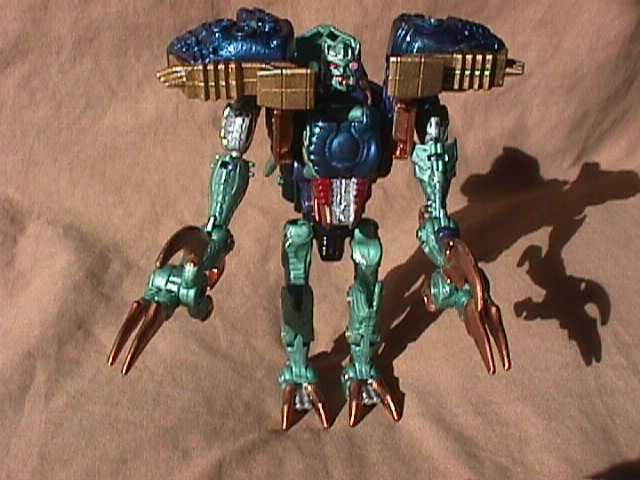 In robot mode, his wings fold inside his shoulders, (I couldn't find a good place for them in his robot mode.) he uses a fireball cannon located on his left arm, and his skill with his arm blades is astounding. Although he would rather lead an orchestra than an army, Draconis is too dedicated to the Maximal cause to ever consider quitting. At least he's dedicate enough to keep from seriously considering it anyway.